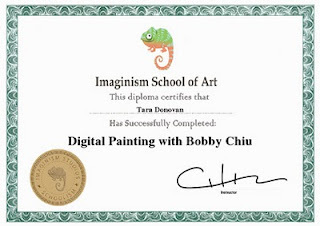 ' Tara Donovan - Animator: Bobby Chiu's Digital Painting Course Completed! Bobby Chiu's Digital Painting Course Completed! I finally finished my Digital Painting Course -- thanks for the A+ Bobby! Bobby's course was incredibly challenging and thorough. Each lesson built upon a solid foundation of fundamentals: bringing light out of darkness, utilizing colour theory and contrast, applying textures both hand-made and photographed. I can't recommend this course enough to anyone interested in applying traditional painting skills to digital media. My next step is to start developing my own illustration style -- stay tuned! I've already been able to apply my new techniques to 3D texturing/UV'ing for an art installation by Robert Waters. Here are some examples of my assignments from Bobby's "Digital Painting" course. 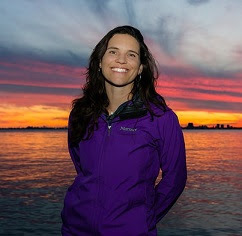 This is a purely technique-focused course. All the assignments were based on Bobby's artwork.